Just a half hour after eating the biggest plate of chicken enchiladas of my life, I was already regretting it. 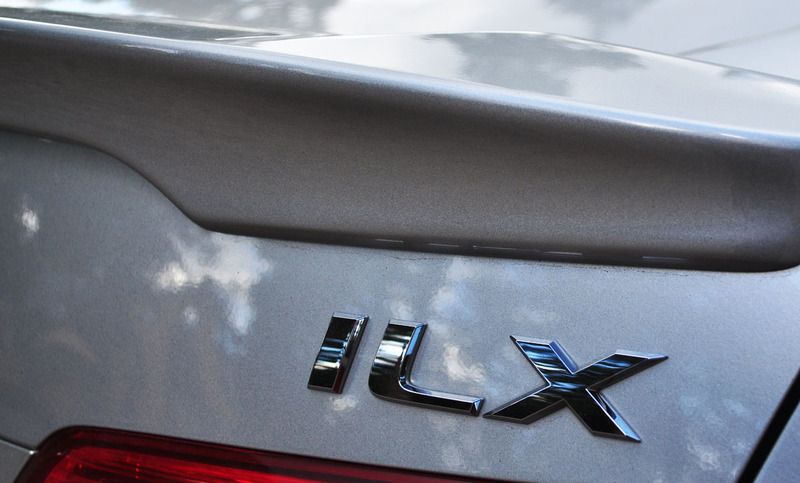 The road I was carving up in my 2013 Acura ILX was so curvy, it was making me nauseous. 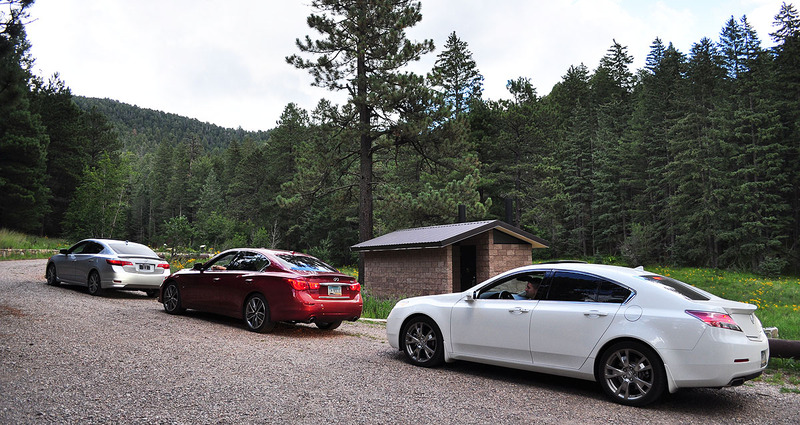 After 8 or 9 miles of zig-zagging up the side of one of Arizona’s tallest mountains, I got stuck behind a slow-moving pickup truck. Joe, from the passenger seat, said, “Good, maybe my lunch will go back to my stomach now.” Ha! I guess I hadn’t been the only one holding my breath and hanging on for dear life! At least it wasn’t like that time when I was 8 years old and lost my lunch in the backseat of my aunt Jodi’s SUV. 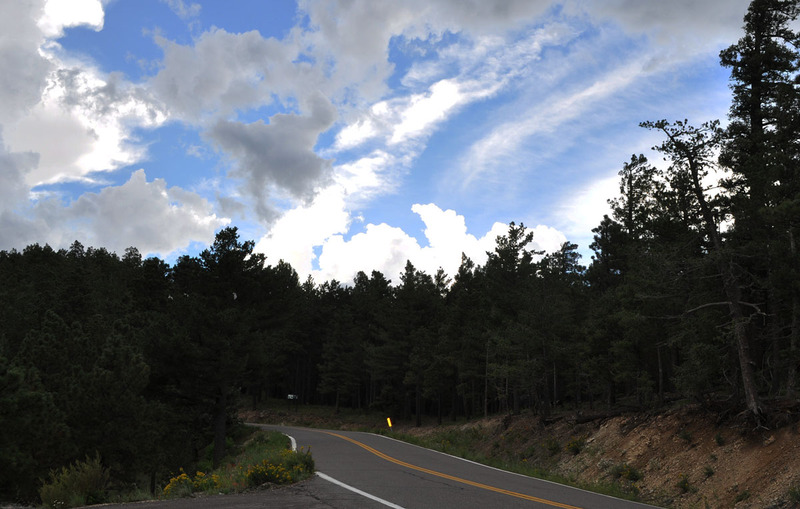 The Swift Trail, with twenty-nine paved miles and the remainder gravel, begins seven miles south of Safford on U.S. 191. 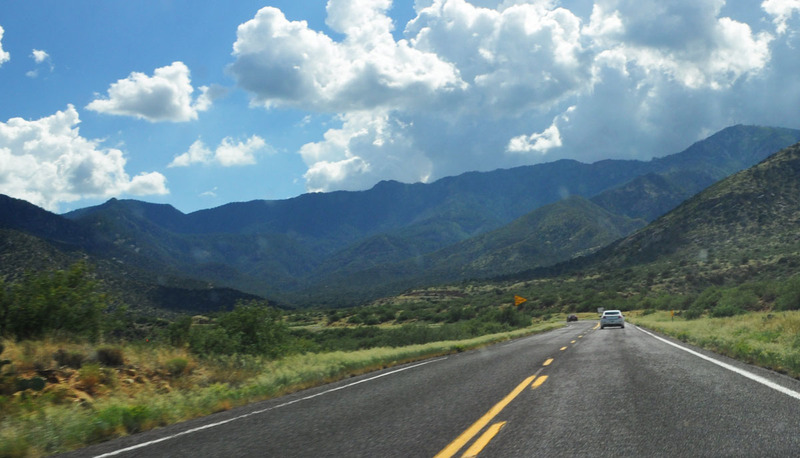 Turn southwest on Arizona Highway 366 and ascend a gently sloping bajada studded with creosote, mesquite, and acacia trees toward the looming Pinaleño Mountains. The temperature can (and did, for us) vary by up to 30 degrees from the base of the road to the summit! 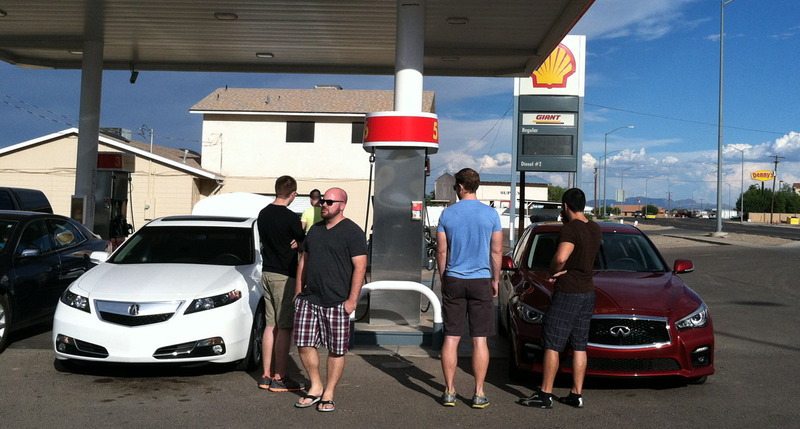 “It’s like driving from Mexico to Canada in an hour and a half,” said one author. Joe and I watched as we passed 4,000; 5,000; 6,000 foot signs. 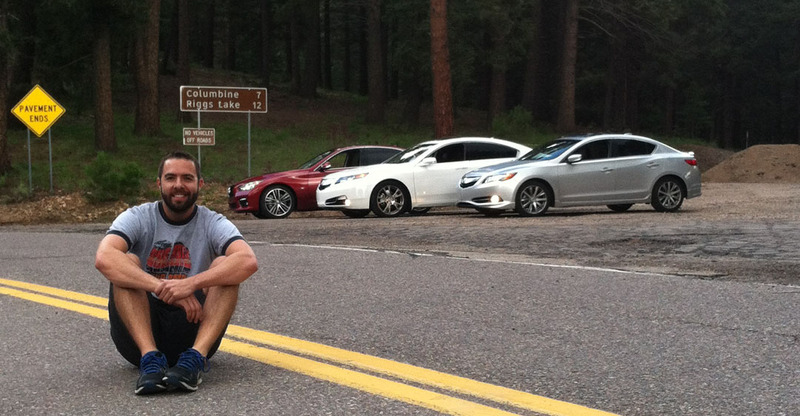 This road maxed out at over 9,000 feet! The landscape changed dramatically, too. The desert floor gave way to taller trees and every curve offered a new viewpoint of the valley below. Guardrails? Non-existent. This was a two-hands-on-the-wheel driving experience. With exception for shifting gears, of course, because in my case there were plenty of high-RPM shifts through 2nd, 3rd, and 4th gears to power up the steep grade and keep the momentum. Just check out this road! Our day started out in the Phoenix area with a quick breakfast stop at the Krispy Kreme store on Superstition Springs Road in Mesa off US 60. No road trip is complete without appropriate fuel, right? Or in this case, a sugar rush. From there, we made our way eastward through the mining towns of Superior, Miami, and Globe. Miami, Arizona is the “Copper Center of the World” (or at least that’s what their entrance sign below said). About 80 miles from Globe, we arrived in the small town of Safford. 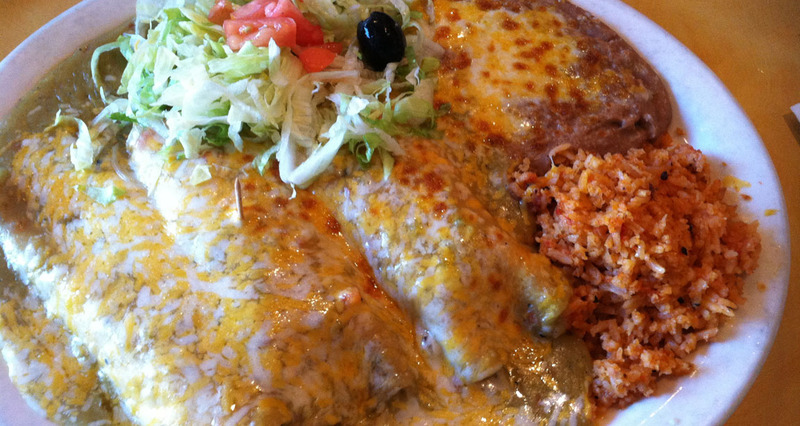 The best Mexican place in town, Casa Mañana, was bustling with hungry midday lunch traffic, but we enjoyed the menu and hospitality before heading southbound on Highway 191 toward Swift Trail Junction. 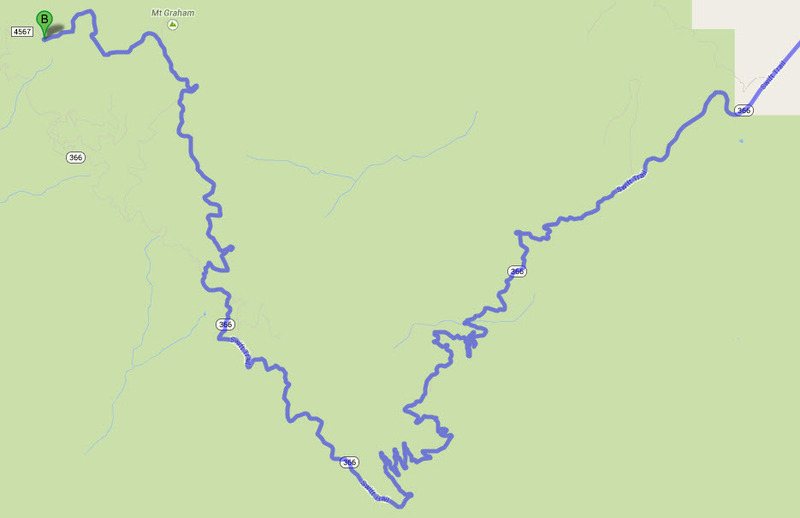 There, we’d be taking Highway 366 all the way to the summit of Mount Graham, some 29 miles later. 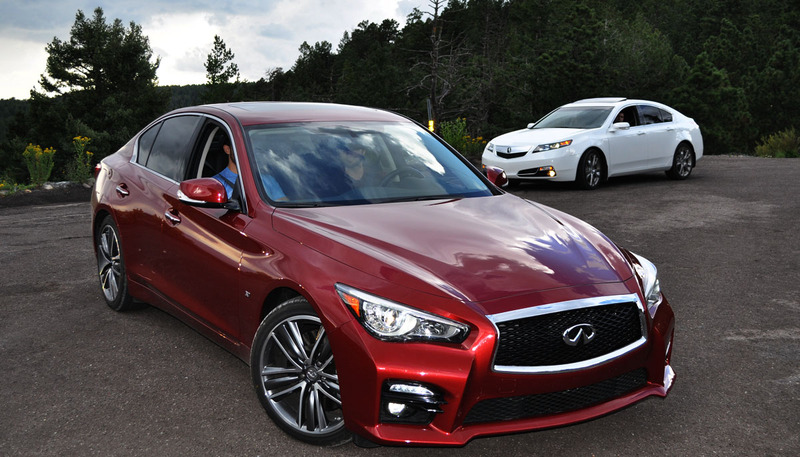 Matt and Alan took the lead in the Q50, Paul and Peter followed suit in the TL, and Joe and I brought up the rear in the ILX. I knew I’d be making some photo and video stops along the way and didn’t want to hold the other guys up. Besides, did I think I was going to be able to set the pace with a full 100 horsepower fewer than either of them had under the hood? No thanks! 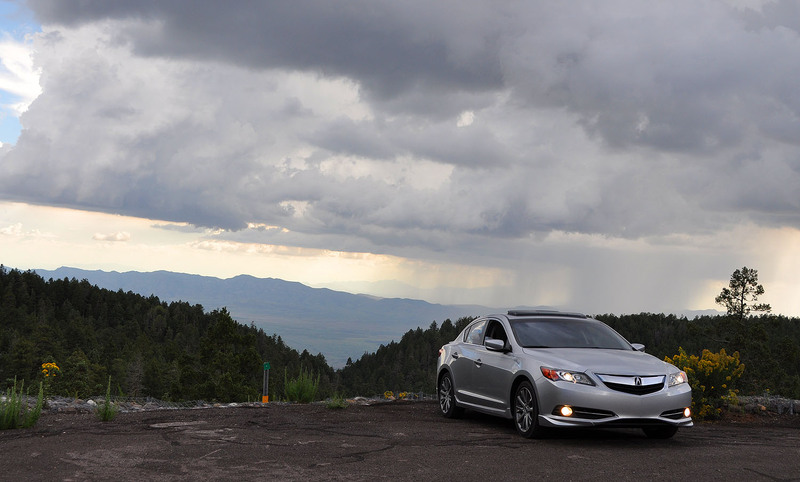 Still, I gave the ILX tires and suspension a pretty good beating. 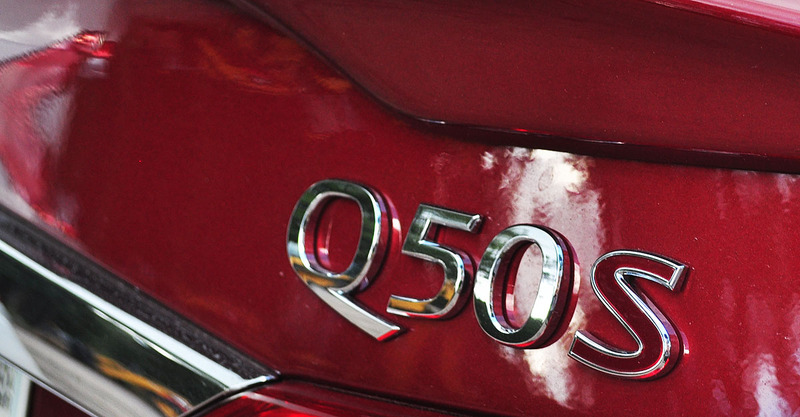 The rev-happy 2.4 liter spent most of its time in the 3,000 to 5,000 RPM range as we made our ascent. After our short delay behind the slow pickup truck (and after our stomachs had the chance to settle just slightly), Joe and I zoomed back to an exhilarating pace and made our way up the switchbacks. Finally, we made it to the end of the paved road where the other guys had already started taking a few pictures. Despite the fact that the temperature at the base of Graham was 100 degrees, we were now in 67 degrees and enjoying it immensely. I couldn’t resist exploring a bit down the dirt road ahead, so we followed that for a couple of miles which led us to a campground. The downhill return to Safford went quickly – so quickly, in fact, that I could smell burning tires and brakes. My sweet tooth got the best of me and I succumbed to a pit stop at “Taylor Freeze” for a root beer freeze in the town of Pima. A phenomenal Arizona sunset closed out the day as we returned to the Phoenix area. In all, the drive took us about 9 hours round-trip including the breaks and the lunch stop. Another adventure in the books for me — and for all of us. Thanks for being a part of it! Here are the rest of the photos and a short video. Those “creamy enchiladas.” I think there was an entire tub of sour cream on this plate. 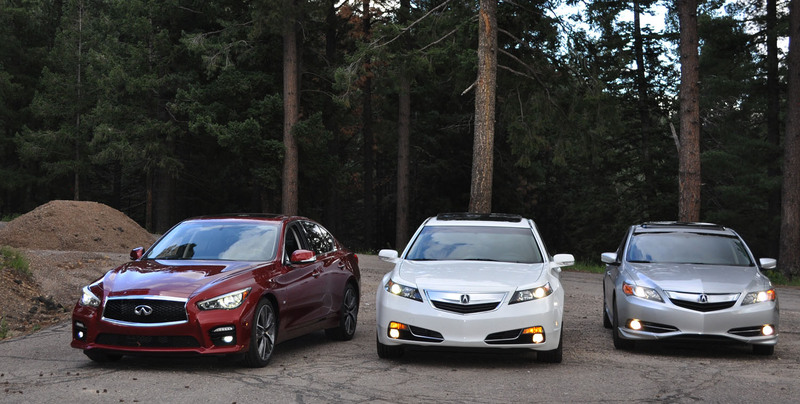 It’s almost as if my ILX and Paul’s TL were having a fight and didn’t want to park next to one another. Made it to the top! Or, at least where the pavement ends. Taylor Freeze. Stop there sometime for a shake or malt! 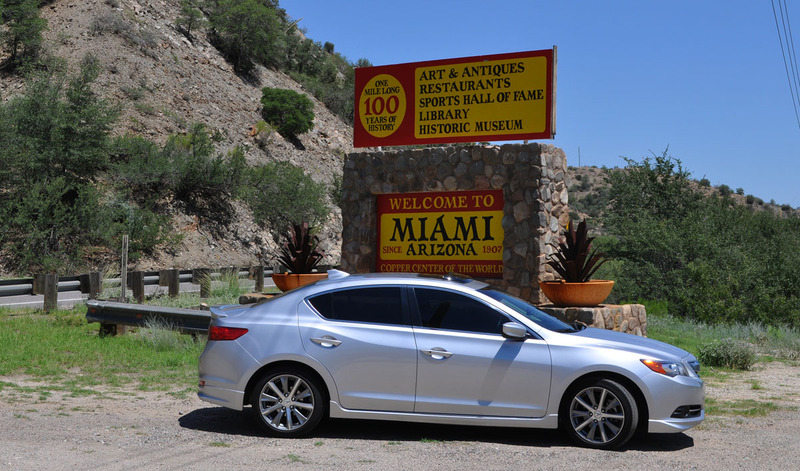 This entry was posted on August 17, 2014 at 8:36 am and is filed under Arizona, ILX, Road Trip. You can follow any responses to this entry through the RSS 2.0 feed. You can leave a response, or trackback from your own site. I think you need more horsepower! I agree with that comment! 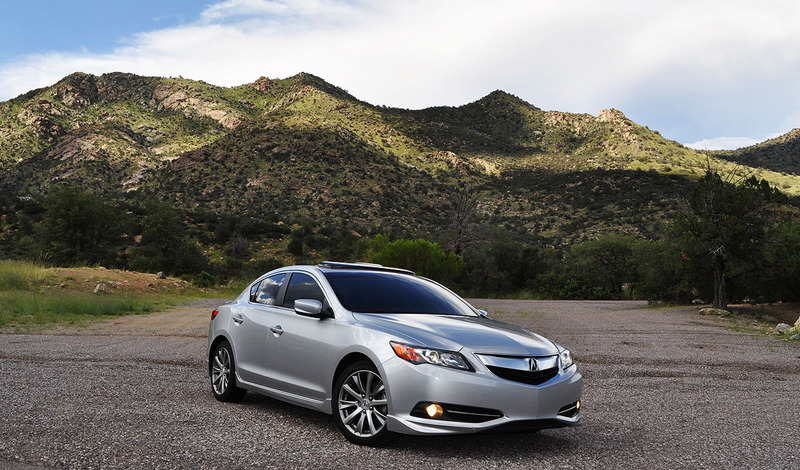 So you’re saying I should turbocharge the ILX, or replace it with something with more power? 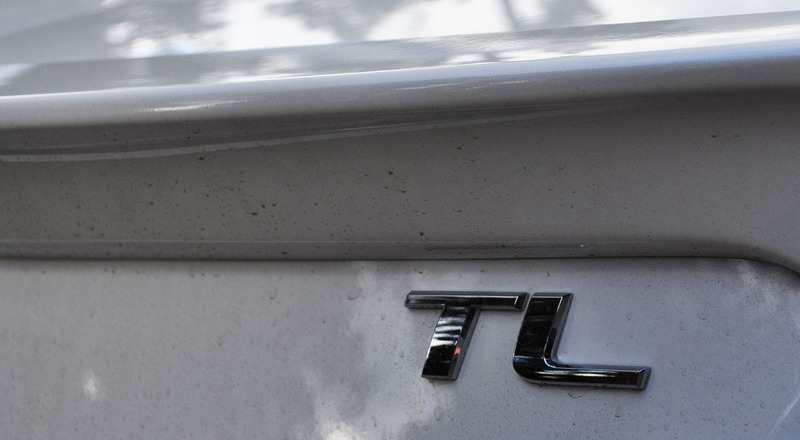 If a turbo doesn’t do it, the 2016 NSX might do the trick. That second picture from the top showing the green mountains……it does not look like you are in Arizona. That location must get a lot of rain to look like that. I have seen mountains like that in western Virginia and North Carolina. I know! I commented to Joe as we were working our way up the mountain that I couldn’t get over how green the area was. I think it’s been a pretty wet year in that part of the state. Definitely a nice change of scenery from the desert that I’m used to seeing around here. Dude, you should have at least continued on the dirt section to say you finished it…I had to go back up there to do that several years ago. I know – I will do that! Matt and Paul weren’t comfortable with the dirt section so I didn’t want to make them subject their cars to that. I will go back and take it all the way to the end someday. 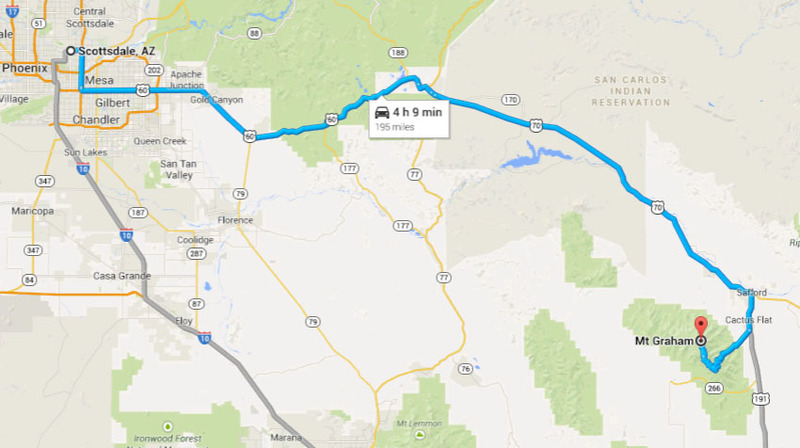 When I looked at your map I thought one thing: AZ Canyon Run !!!! Exactly!! It’s an amazing road. Just as technical and curvy as Mulholland in Southern California, but road conditions were way better. 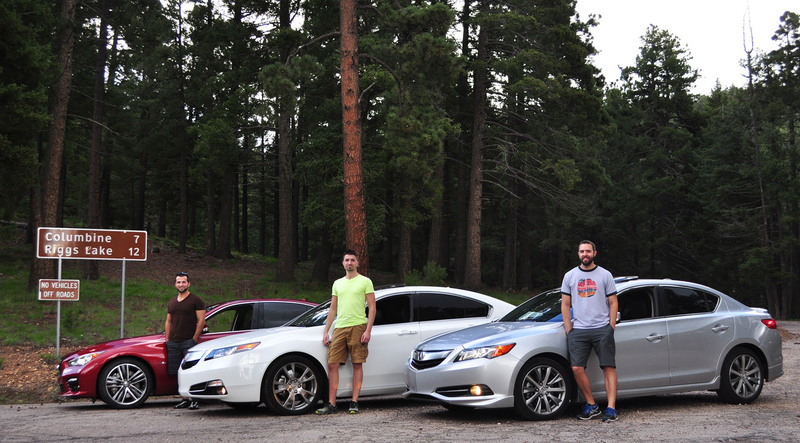 I’ll definitely be coordinating another group drive out to Graham again soon. Yes, everything turned out just great! Even the looming storm clouds all around us held out until after we’d completed our canyon carving. Hope you can join on the next round! 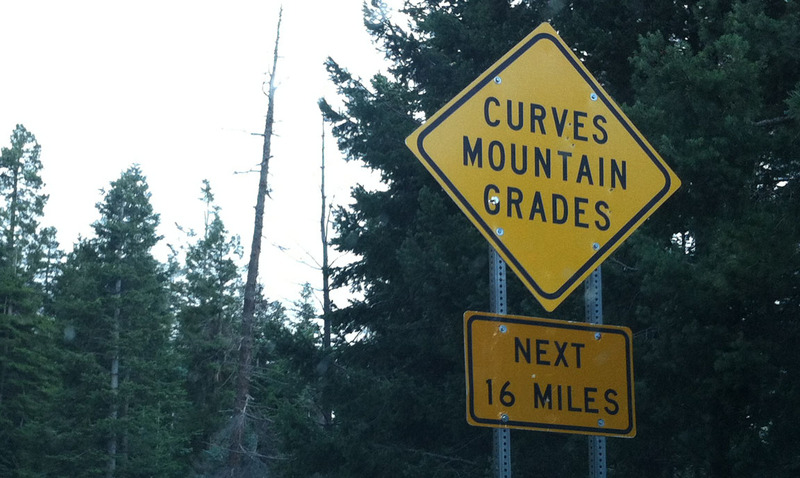 This looks like a great road for me to take next weeks Mazda MX-5 on. James, yes! It’s a perfect MX-5 road. I’d highly recommend it. Be sure and report back with your experience. I am looking forward to making it out to Graham again soon. I wonder when the snow starts to fly up at the summit? That would be quite the experience seeing the snow.